While you’re not likely collecting intelligence information, that’s what information overload is like…it's like drinking water from a fire hydrant. Much of it will spill out and be missed. The same can be said about information overload with your business. * Feeling Too Much Stress – One of the main symptoms of information overload is to feel stress. Some people say it feels like their brain is being so bombarded by information that as information goes in one side, it’s coming out the other. Stress keeps you from being focused and makes you worry that you don't have enough information to move forward in your business. * Lack of Confidence – When there is so much contrary information available, it’s hard for people to choose the right course of action. For example, you might see numerous reports that email marketing is dead and that you should focus on social media only…but then other people are telling you that you should focus on email marketing first. How do you know what information is right and what is wrong, and how do you proceed? The lack of confidence can cause you from making any choices or feel unsure about the choices you're making with your business. * Improper Information Filtering – When too much information is transmitted, the person receiving it often shuts off in a way. Normally the filtering process categorizes information as important or not important, but when there is too much there is often improper filtering called twigging. This essentially means that everything is general and all information is the same. To grow your business, you need to understand which information is crucial to you and what you can leave by the wayside. 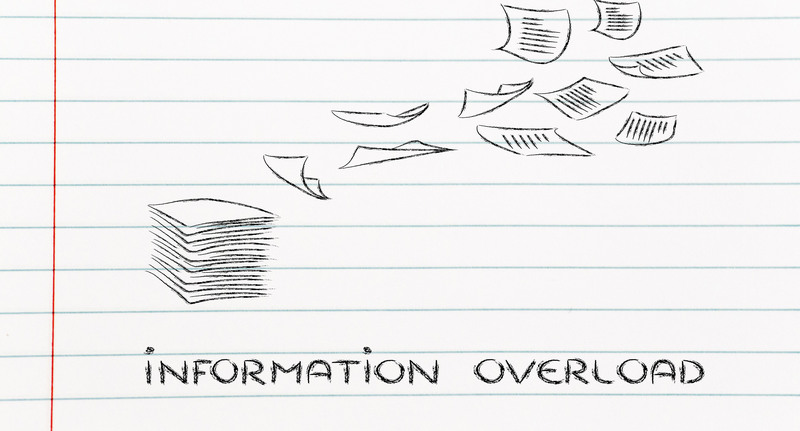 If you find yourself filtering it all out, you might be suffering from information overload. * Taking on Too Much Too Fast – Sometimes information overload can make people feel as if they can multitask everything and do more than they can. But the truth is, as shown in study after study, humans aren’t designed for multitasking. If you're looking for new information to grow your business, focus on one strategy at a time. Don't read all the blogs or buy all the products…only digest what you need and leave the rest by the wayside. In the end, how you consume and process information is up to you. Having a good idea about you want to put focus in your business will help you make good information consumption choices. Just because people are talking about Facebook Chatbots or Shopify stores, it doesn't mean that information is relevant to you. 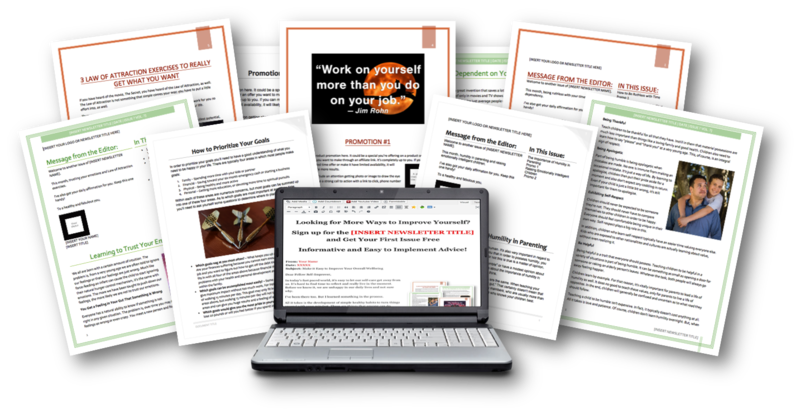 ​Need Content for Your Audience without Getting Overloaded Yourself? We've Done the Work for You!